I have plenty labs on MPLS on GNS3Vault that will help you learn but to help you a little more i’ll let you know in which order you should do them. Before you start learning MPLS make sure you have a strong knowledge on BGP. MPLS relies heavily on BGP so upgrade your knowledge if you have to. There are plenty of BGP labs for you here. Having said that…time for MPLS! If you are new to MPLS start with the VRF Lite lab which will teach you the fundamentals. A VRF is for routing what a VLAN is for switching. Once you understand VRFs you can check out the MPLS LDP lab which introduces you to tag switching. Once you finish those labs you can try my MPLS VPN Advanced lab which teaches you how to configure an ISP MPLS Backbone with multiple customers running different routing protocols and offering them services like central servers and Internet. The VIDEO is 2 hours and 50 minutes so it’s quite a large lab! Those labs will teach you all the skills you need to get going with MPLS. 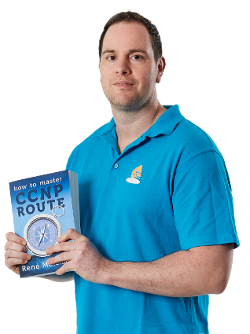 I’m studying for CCNP TSHOOT but after that am thinking of CCIP and these are absolute fantastic resources for MPLS studying right from the base of vrf all the way to full ISP level MPLS use. I think you’ll like CCIP after your CCNP. 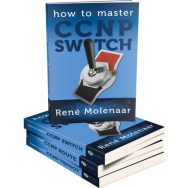 You will learn only more about BGP after what you learned on CCNP. MPLS is a lot of fun and very popular these days…QoS is something you’ll have to master if you ever play with VoIP on a network. Awesome lab! I’m gonna give this a shot. I am preparing for my CCIE R&S and your labs help me a lot!! Thanks for your kind words 🙂 Good luck for your CCIE! Studying for CCIE Lab in 4 weeks time.. MPLS Labs are fantastic. Brother, i am becoming a huge fan of yours.